We put together this post to help you choose the very best air purifier for your specific home or business needs. We know all too well what difference a quality air purifier can make in the lives of asthmatics, allergy sufferers, people with weakened immune systems, children, and even pets. We do not affiliate with any one brand, nor do we discriminate against air filters that haven’t receive a high amount of media attention. UV-C light technology works with Titanium Dioxide to kill airborne bacteria, viruses, germs and mold spores. Air is our most vital resource for life on earth. While we may be able to live several weeks without food, and several days without water, we wouldn’t last more than several minutes without clean air. Because of this, we know how important it is to monitor and prioritize the air quality in our most intimate environments. We make sure our food is well cooked and clean so it has no diseases; our water is filtered and re-filtered to make sure it has no debris; and likewise, our air should be as clean as it possibly can be inside of our homes. While one day we think quality air purifiers will be built into homes more readily than they are today, for now, we have to turn to portable versions for our air quality needs. 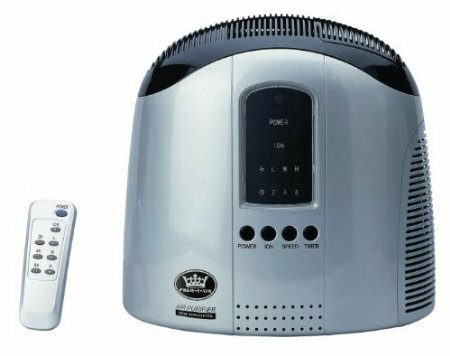 Below we have listed and reviewed the 5 best portable air purifiers currently available for sale online. 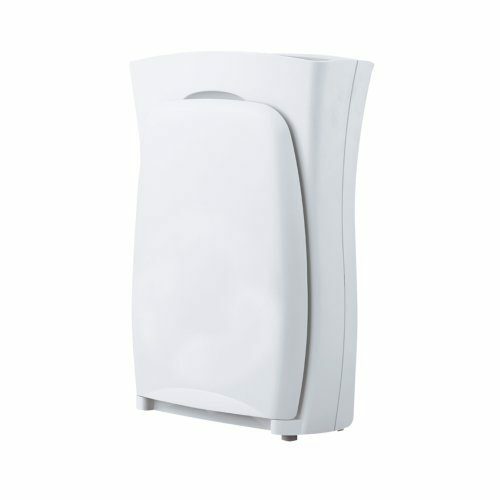 The best air purifier we tested, although also the most expensive. We have read reviews of this filter being used in a variety of “heavy-duty” circumstances; from a home with multiple pets, to factories, smoke lounges, veterinary clinics and even nurseries. 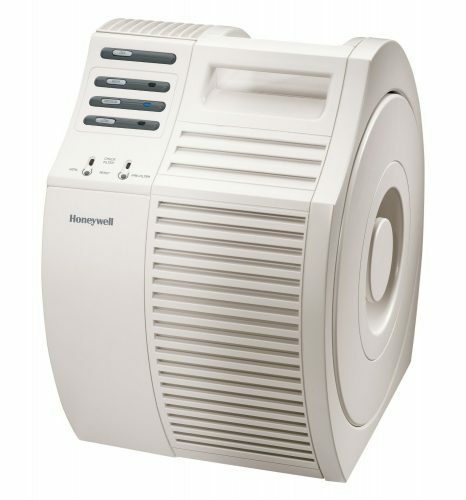 While the Honeywell HA170E1 True HEPA does not have the highest HEPA rating, (it is a HEPA13, the highest is HEPA17, and filters as high as HEPA14 are cleared for use in hospitals) it works about as well as any HEPA filter on the commercial market. 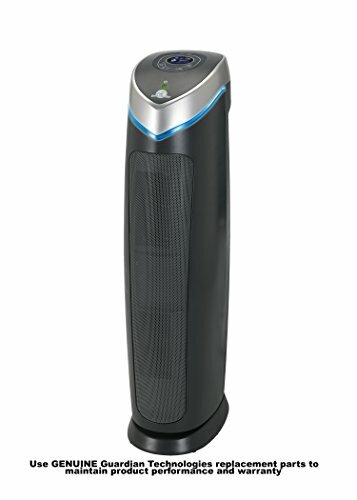 One of the best deals available, this remains one of our favorite air purifiers for both office and home needs. The first is a thick, black, carbon filter that traps large particles and makes the HEPA’s job much easier. The second is the certified HEPA filter, which does the majority of the work decontaminating the air of extremely small particles. 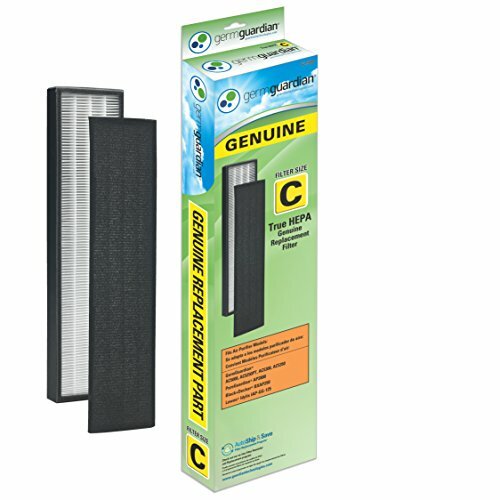 The third filter is another active carbon filter that absorbs smoke and odors. The fourth and final wall of protection is a grey photocatalyst filter, which blocks the spreading of harmful gases such as ammonia or carbon monoxide. We’ve heard nothing but good reviews about this device, and recommend it as an excellent starting point for an apartment or small family. The Filtrete line of products is a great solution for houses that need more than one size of air filter. There are multiple sizes available in the Filtrete family of air purifiers: nursery size, up to 8m; small room, up to 10m; average room, up to 14; and large room up to 34m. We have had good results with a small sized Filtrete, as it was able to clean most of the smoke that was in the room at the time. While it does not have that highest grade HEPA filter like some of our other purifiers, it still functions and is a good deal for the price. Unique on our list because this machine is not exactly an air filter per se, but an ioniser. Ionisers differ from most air purifiers in that they do not have a traditional carbon filter or fan. Ionisers work by changing the chemical structure of the particles in the air and in turn attracting them to the nearest hard surface, instead of continually circulating them through the air. The stainless steel dust collector plates work quite well for this job and are as easy to clean as a dinner plate under running water. Although the plates will collect most of the particles that the ionisers attract, you may still have a bit of dust collecting in the area around your ioniser, such as on the table and walls. Simply dust the area regularly when you change the filter and this shouldn’t be a problem. Make sure this device is not left on the floor around animals or small children because, like almost all ionisers, this product emits a harmful gas known as “ozone” that can be deadly in concentrated amounts. The Bionaire takes the shape of the popular “tower” filtration device and claims to come with a built-in ioniser, although we could not verify it. We’ve had good results with the Bionaire, and have seen the device being used in multiple commercial restaurants where there is active smoking. 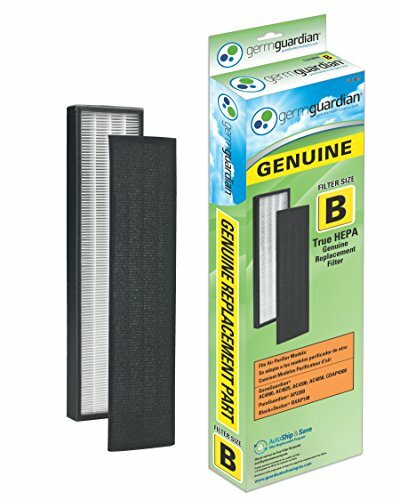 Though the product claims to have a HEPA filter, a closer look at the website and wording indicates that it actually does not. The filter is a company made one, a “Permatech” filter, which is not as effective as an actual HEPA filter. That being said, the air filter still works well and provides noticeably better air quality than a room without it. That just about wraps it up for our Top 5 favourite air filters that are available in the UK. But don’t stop here, if you want in-depth, detailed reviews from some of our users, be sure to click on the links provided. We wish you ALL the best in finding the perfect air quality solution for you and your family, and remember if you find something you like or even don’t like then please do come back and let us and other readers know by commenting on this website!